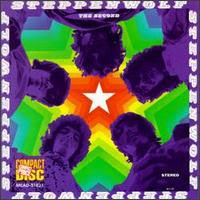 (You're so full of bull, Sam)"
"Steppenwolf...the Second" (1968)...has John Kay and the boys throwing down a sophomore effort that does not disappoint. Filled with a blend of traditional rock...earthy psych...and somewhat tasty blues jams, all delivered in that solid John Kay throwback style very much missed today. If all you know are the terrific, but overplayed Steppenwolf classics..."Born To Be Wild" & "Magic Carpet Ride"...then prepare to have your eyebrows raised. "Don't Step On The Grass, Sam"...is a wicked..."thumb in the eye" kiss-off...to the stiff-minded establishment. Churning rhythm guitar trade-off bites and props to Goldy McJohn for some nice crushing keyboad work.One of the better protest songs. Turn it up! 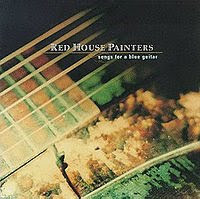 "I was elected by the masses"
"Songs For A Blue Guitar" (1996)...was an unexpected must own CD by the Red House Painters. It was recorded during a bunch of label contract fubars and is essentially a solo recording from leader Mark Kozelek. And can often be found in discount bins. Among this eleven song offering...are three surprising covers. One from...Wings...Yes...&...The Cars. Each are uniquely mind-blowing filled with soft vocals with elongated electrical axe work...mixed with gentle folk guitar. Nicely done. But the real lost gem from this RnR paint can is the opening track. "Have You Forgotten"...is a haunting acoustical gem that exposes painful bittersweet memories in thoughtful and mature strokes. somehow they feel up and you feel down. and october leaves cover everything. they're too dumb to mean it anyway. look out on frozen farmhouse landscapes. I'm Dr. Strange for you." 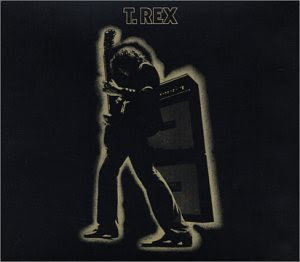 "Electric Warrior" (1971) is arguably T. Rex's best release...though "The Slider" could easily hold that title as well. This is premium ground-cracking stuff with high marks from start to finish. Lost gem..."Mambo Sun"...is one of the best opening tracks of all time. It's a sleazy horn-dog beggar...with a wicked groove. Listen for the tasty T. Rex string bends. I want to croon with you. I got to be the one with you. If I can't get across to you. My hearts all pain for you. And I've got wild knees for you. I'm Dr. Strange for you. And my wig's all pooped for you. I'm a hungry man for you. And I feel real weird for you. I'm howling like a loon for you. I've got to be the one for you.